Lundy Haulage is a fully licensed Haulage Company, established in January 2002 and are located in Ballina, Co Mayo. 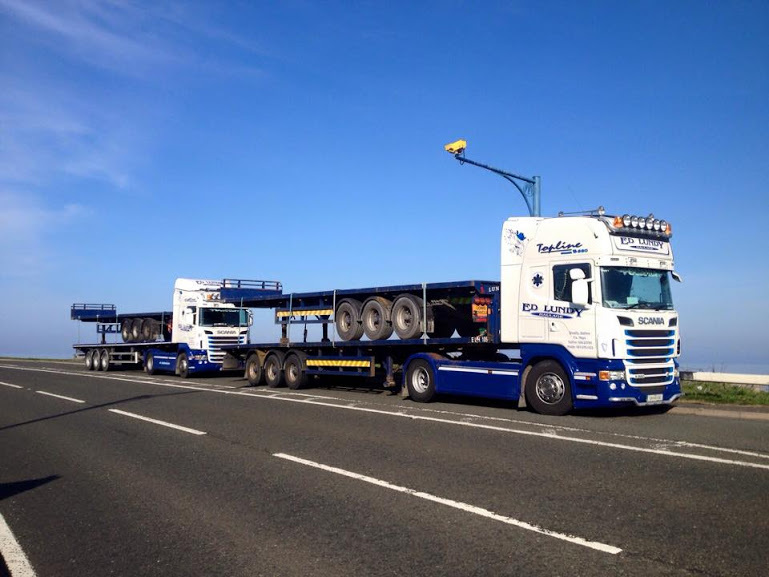 We are one of Ireland’s leading logistic and transport companies, providing national and international haulage to a broad customer base across all sectors of the marketplace. Our expertise lies in the development and management of supply chain solutions for all sectors of the market place. With our modern fleet and reliable staff we are committed to offering our customers cost-effective and efficient results with a high level of customer service. We provide an extensive range of transport services and have the capacity to adapt our service to meet all Customer requirements. No job is beyond our capability, if you would like to get a quote please contact us.